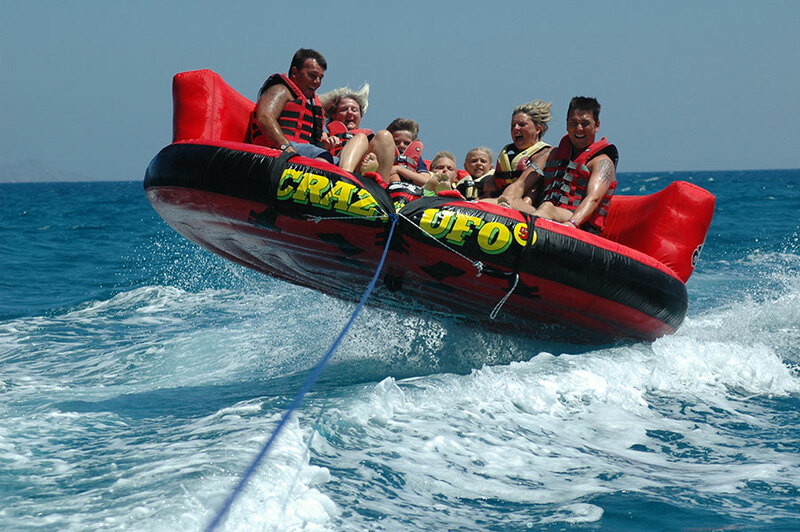 You'll have to hang on tight for this adrenalin pumping ride as the tubes race across the water and jump the wake. Up to four participants can enjoy this ride, and its a great choice for all, young and old. Ever wanted to try a ride on Yamahas no. 1 wave runner? 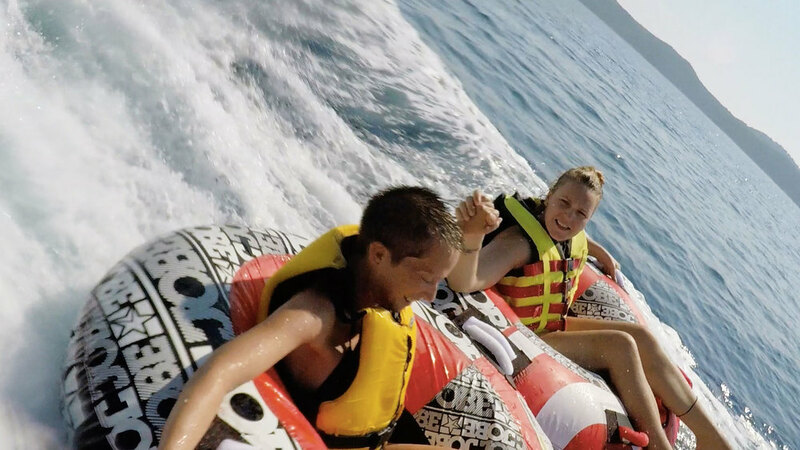 You can do so at Veliki Zali, even as a pair, since the jet ski offers a two tone seat for maximum comfort if you are riding as a pair. Our staff will give you a short introduction course on handling the runner, before you set out to enjoy the ride. The banana is a fast yet easy ride suitable for everyone. Feel the joy and elation of the bump filled ride, while skimming over the water with great speed. The banana raft can seat up to 6 people. A high-speed, action packed sport that gets your adrenaline pumping. The best way to picture what wake-boarding is, is to think of it as water-skiing with a short surf board strapped to your feet. 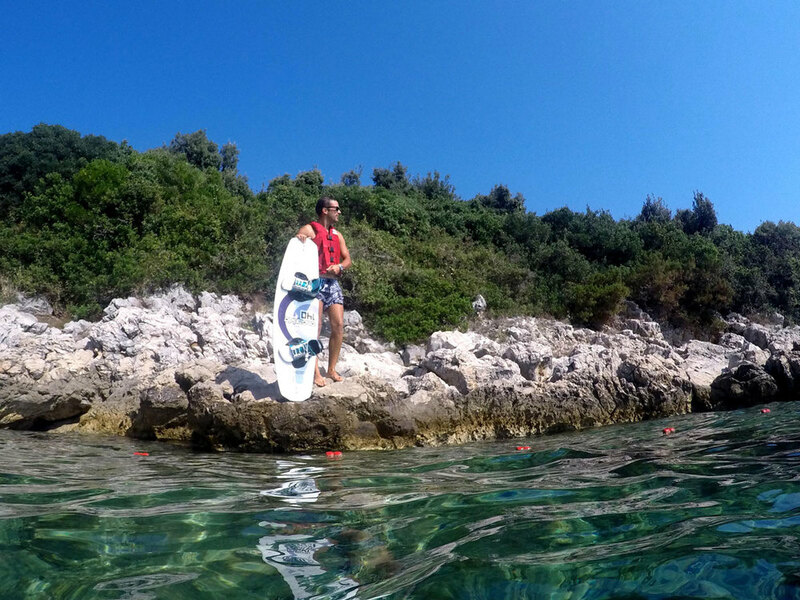 We offer wakeboarding schools for individuals or groups. This surely is the craziest sofa you ever sat on! 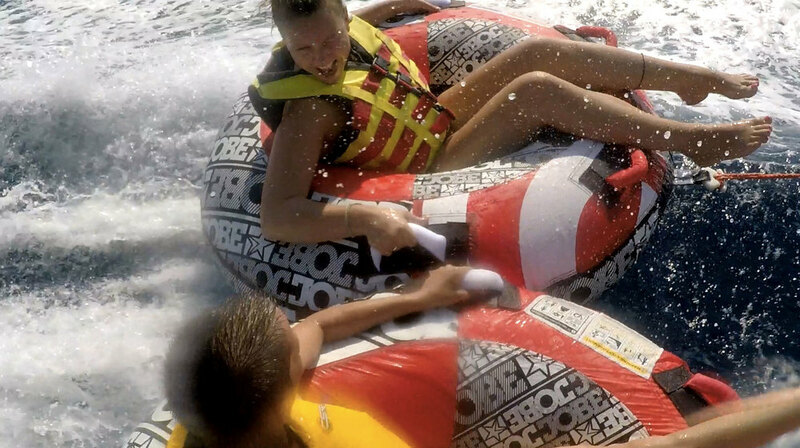 Lean back and enjoy the fun as you are being whisked through the water. Carries up to 8 passengers. Water-Skiing is a fun pastime and can be done by just about anyone, as long as you have enough balance about yourself. There is no minimum age necessary to waterski. 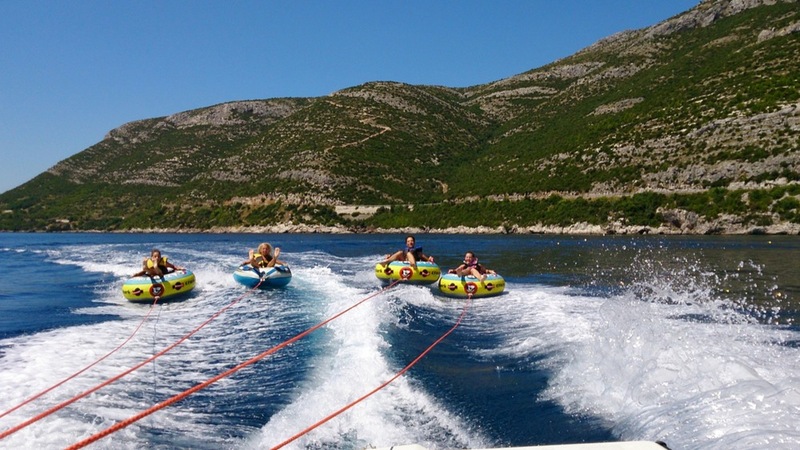 We offer water-skiing schools for individuals or groups. 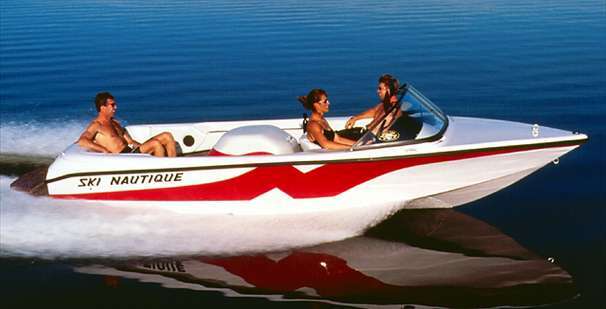 Our speed boat is a Correct Craft Ski Nautique 196 with a 5.8 pcm engine. With a length of 6 meters it offers seating for 5 people. We offer speed transfers to the Elafiti islands with our speed boat. 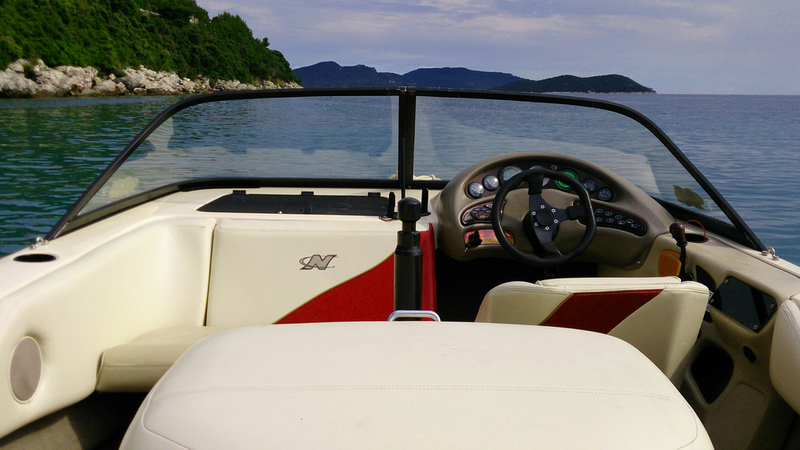 We offer whole day rentals (or shorter) for a small 4.10m long boat, equipped with a Suzuki 6KS engine. The boat can fit up to 4 passengers, and is a good option for a visit of the Elafiti islands. To book a water sport, boat or speed boat contact us by phone, e-mail or just drop by at the beach, where our staff is at your service.